Female? Injured? Got questions? 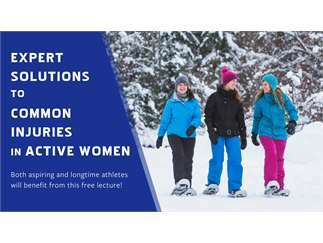 We’ve teamed up with three local healthcare organizations to put together a panel of expert providers, focused on common injuries in active women! If knee pain, IT problems, SI joint issues, shin splints, tendonitis, incontinence, or other problems are keeping you from doing what you love, this talk is for you! Join Dr. Ekaterina Urch of The Center, Dr. Mary Manfredi of High Lakes Health Care, and Aurora Fry, Rebound physical therapist, for a talk followed by an extensive question and answer period. Injuries don’t discriminate – both aspiring and longtime athletes will benefit from attending!